Dating is a waste of time. Common Core is stupid. Sometimes you need to take your teenager's phone. Here is Episode Four of our Family Youtube Vlog! In this episode, my husband Isaac is driving our oldest daughter to Teen Pact leadership camp. As parents, we always look forward to one on one time with our children. That is when some of the most meaningful conversations happen. They shared part of their car ride conversation which covers topics like perspectives on dating, what she thinks about the common core being incorporated in this year’s PSAT, and how she reacted when I, mom, decided to take her cell phone away for a week. WARNING: You may not agree with our convictions, beliefs, or perspectives on parenting. Do you have these kinds of conversations with your teenagers? Would your kids say you preach at them or you ask good questions that make them think deeper? Remember what it felt like just being told you couldn’t do things? I think that many parents remember the feelings and thoughts they had towards their parents when they had privileges taken away from them as a child/teen, or when they were lectured or told no. That may be WHY so many parents today have a hard time telling their kids no, or choose not to. They care too much about being their child’s friend, their children liking them at the moment, and less about training them in righteousness, teaching them boundaries and that there is a principle of sowing and reaping by letting them experience natural consequences. Then there is the always training our children in the ways of the Word of God. Do you make parenting decisions and choose parenting techniques based upon what is popular or what God’s word tells us, as parents, we are to do? Listen, God’s Word, the Bible, encourages us to parent differently than the world. And to be honest, that makes parenting hard. Don’t get me wrong, we love our children and delight in the journey and adventure of parenting, BUT counter-cultural parenting is NOT the easy rode. You need to know the WHY and SHARE the WHY with your children! In fact, I would say that when you take the time to pick your battles wisely, and CHOOSE to pick the most important battles, teaching your children the WHY, then it isn’t a battle anymore! Kids just want respect too, and when you just tell them no, without a reason why, then they are tempted to rebel. If you respect them enough to share with them why they usually get it. Now, don’t get me wrong, I believe that kids also need to be able to obey their parents when they simply say no. Trust me! What I am talking about though is then, going deeper in the conversation. Don’t just leave it at no if you want them to live it with conviction also! Ask hard questions and then listen! As you disciple you children up in the Word of God, you will be amazed at the wisdom His Spirit can give them! And you know what? When it is their conviction, their idea, something they discovered in the Word, something they felt the Spirit impressing upon them, they are much more likely to stay the course and pass it on to the next generation. When I watched this video this morning, one thing I was so appreciative of, was witnessing my husband back me up to our daughter. He said he was “really proud of me for deciding to take our 15-year-olds phone away” and then he asked her what differences she noticed in her distraction in getting prepared for a week away. I think this is KEY! Showing a unified front to your children is one of the most important things you can both do to respect one another. If there was one parenting warning I would want to share with all parents it’s this: never disagree about your parenting decisions in front of your children. Why? Because it creates double the trouble and double the work for yourselves. If your children know you are not in alignment with one another, and kids are so intuitive, they will do whatever they can to get their way or the best outcome possible for them, including asking both of you until they get the answer they want. And it will create division in your household. You and your spouse need to be in alignment AND your kids need to know it! Backing one another up whenever you get the chance will eliminate the chances of your children even attempting this. So be courageous! Choose to do the hard thing and parent counter-culturally. 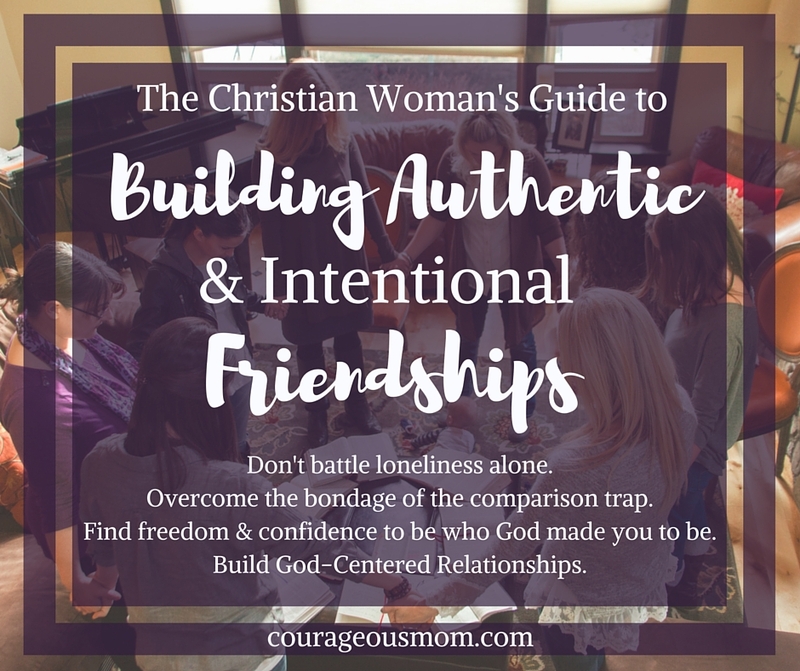 I want to invite you to connect with me on Instagram and Facebook at Courageous Mom for biblical encouragement weekly! Also, would you be praying for me as we are getting our new site Courageous Mom ready to launch?